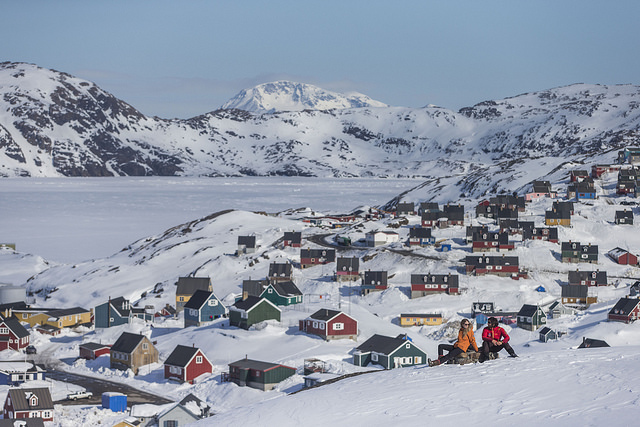 Greenland Winter Highlights – The Great Canadian Travel Co.
For years we have been offering “Winter Madness” tours for those who love the winter and are not interested in the Mayan Riviera! This year, we are delighted to offer this unique program based in the remote community of Tasiilaq on the East Greenland coast. Winter snowshoe hike in the mountainous area around Tasiilaq. Additional nights in Tasilaq: US$480- twin room, US$320 – single room. Includes full board. Prices are shown in US$, per person based on two people sharing a twin room and one person in a single room. CA$ pricing is also available. Shortly after you arrive into Kulusuk, Greenland from Reykjavik you will take a helicopter transfer to the small community of Tasiilaq on Ammassalik Island. Here you will meet your host who will drive you to your guesthouse. 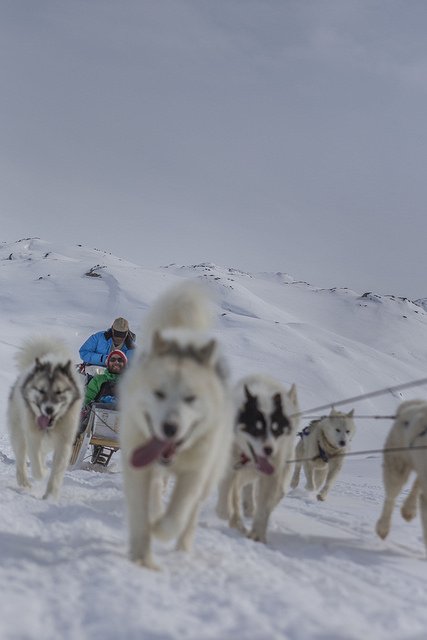 After a briefing and lunch it’s time to put on your warm clothing and go visit the Greenlandic sled dogs. These are not for petting but maybe, if you’re lucky, there will be a puppy that you will get a chance to hug. Dinner will be served in your guesthouse and, weather permitting, this evening you will go hunting for the Northern Lights. 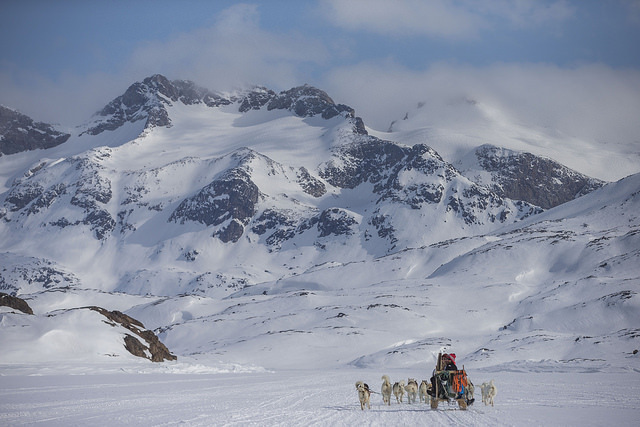 Today, we head out early for a dog sledding tour through the Safrigai trek to the Safrigai Fjord. 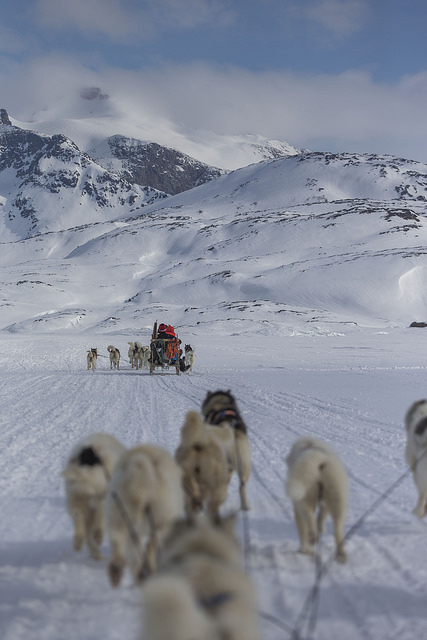 The speed and tempo of the dog sled gliding across the snow and ice will make you feel like you are travelling back in time on this tour. As the town quickly fades into the distance behind you, the only sound you hear is the rhythm of the dogs breathing in unison and their feet pounding the snow packed landscape. The wind is whirling past your face and the smell of crisp, mountain air fills your lungs. There is a high chance that you will pass several fishermen utilizing traditional techniques and tools to catch fish for their communities. At the top of a hill, we dismount the sled to take in the view. Your eyes will widen with awe as you take in immense amount of sea ice that has travelled to this area from the North Pole. The calming silence and picturesque scenery amplifies why Greenland is considered one of the most magnificent places in the world for nature lovers. 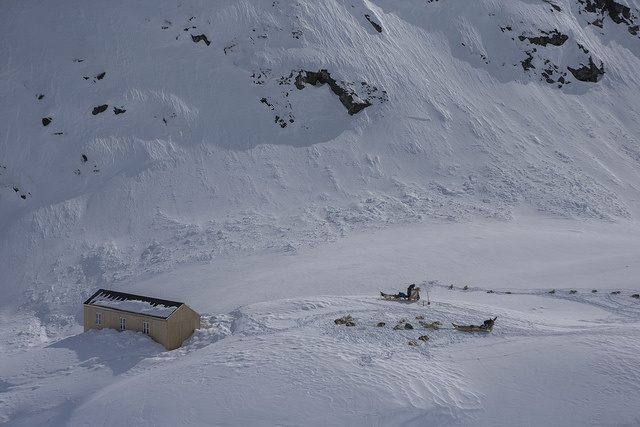 After hopping back on the sled, we descend the hill to enter the Safrigai Fjord*. 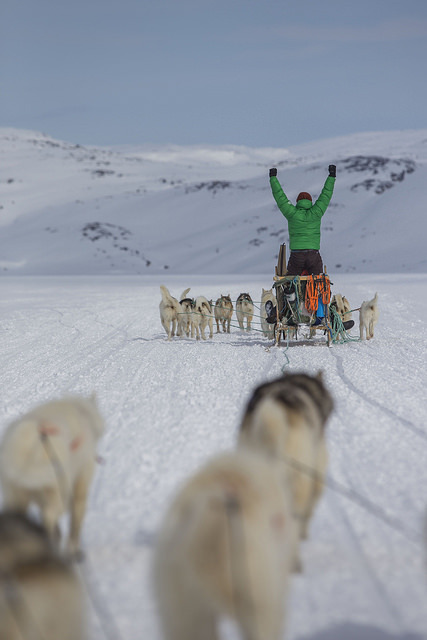 On this ride you will experience the magnificent power of sled dogs as they charge ahead at full speed. 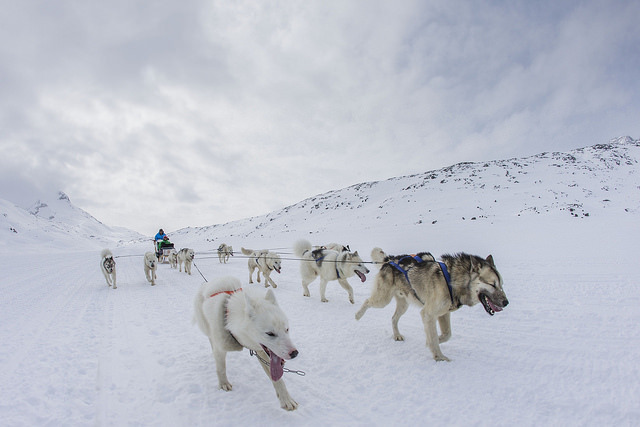 Our expert mushers have perfected the art of safely manoeuvring the sleds at this speed. This comfortable and safe joy ride is only topped by incredible view at the bottom of the descent. We take a short break for lunch packs, hot chocolate, tea or coffee that was brought along with us before heading to the coast of the island to capture stunning photos of icebergs, towering mountains and flowing ice sheets. On the journey back to Tasiilaq, we are greeted by the iconic mountain of Polheim on the right. By afternoon, we are back in town, heads still swirling from the adventure out in the wild. You will have the rest of the day at your disposal to relax, reminisce about your experience, and re-energize for the next days activity. 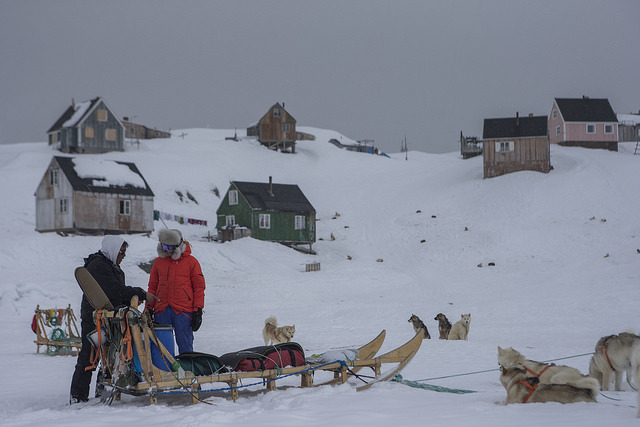 *If weather conditions do not allow us to travel the Safrigai fjord, there are many other lovely destinations on the Ammassalik Island, and your musher will show you a number of beautiful sights. After breakfast, your host will take you on a walk around town for some cultural exploration. During the walk you will visit the Ammassalik Museum located in the old church by the harbour. The museum will give you a glimpse into the rich Inuit history that has shaped the culture and communities in Greenland. After the guided walk, you will fill up on some delicious lunch in the guesthouse. 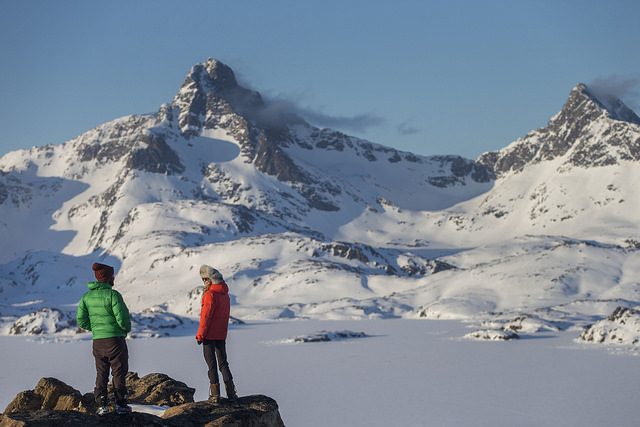 Make sure you are fuelled up because in the afternoon you are setting off for a beautiful winter hike on snowshoes in the mountainous area around Tasiilaq. There, you will experience unrivalled views of the polar sea, scattered icebergs and pack ice. You will have certainly worked up an appetite after the hike and on our return to town, we satisfy our hunger at dinner. It is your last night in Greenland and we recommend keeping your eyes on the sky. The Northern Lights might make an appearance and show off why they have been mesmerizing viewers for ages. It has been three days of discovering the magic of Greenland’s winter highlights. After breakfast, it is time to pack your bags and meet your host, who will drive you to the heliport. As you settle into your seat and fly over the sea to Kulusuk, you can let your mind drift back to the serene nature that you were immersed in and know that you have witnessed a place unlike any other on the earth. 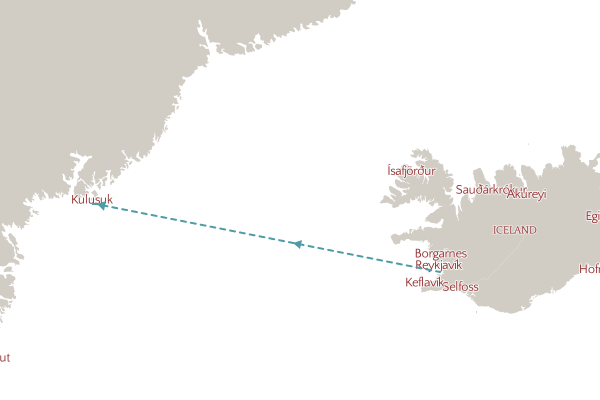 When you arrive in Kulusuk, you will board a plane back to Reykjavík in Iceland, another unique and spellbinding country. *Please note – Greenland weather conditions can be unpredictable. We do our best to adhere to the tour itinerary and dates but flexibility, when it comes to adjusting plans, is sometimes necessary.